How can I see how many hours have been scheduled? To see how many hours have been scheduled for a specific employee or all employees, you will need to visit the Schedule page. 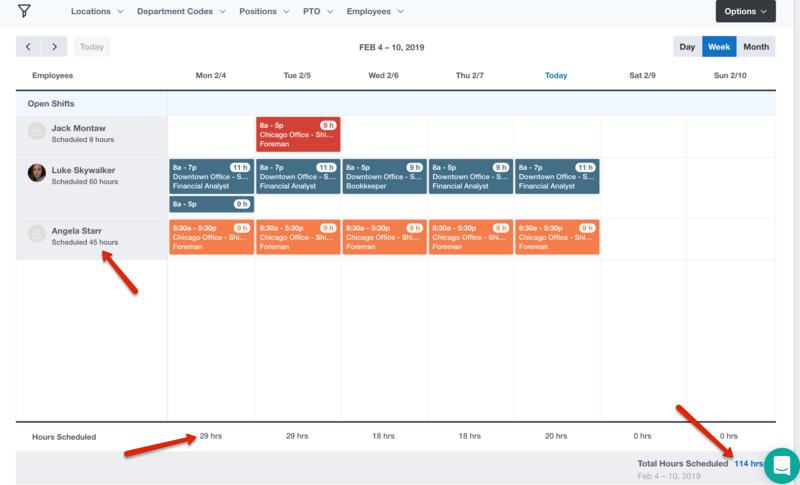 There are several places on the Schedule page where you can view how many hours have been scheduled whether by Employee, per day, per week, or per month. The scheduled hours will change based on your view. In the example below using the Week filter, you can view the total amount of hours schedule for the week, by day, as well as per Employee.